The heads themselves are quite large so there wasn't much space to do anything else on that nail. I did two coats of Julep Something Blue and then stuck the head on top of a thick coat of Seche Vite (since I don't have any nail glue at the moment). It stayed on pretty well, even during the night! I also used Zoya Solange (gold), Julep Hope (white) and Sinful Colors Black on Black. I though this was a fun look, though I think if I used these heads again (I got 10 of them) I'll use them with some softer pastel shades. Something Blue was a lot bolder of a colour than I expected it to be! That Hello Kitty is so cute! 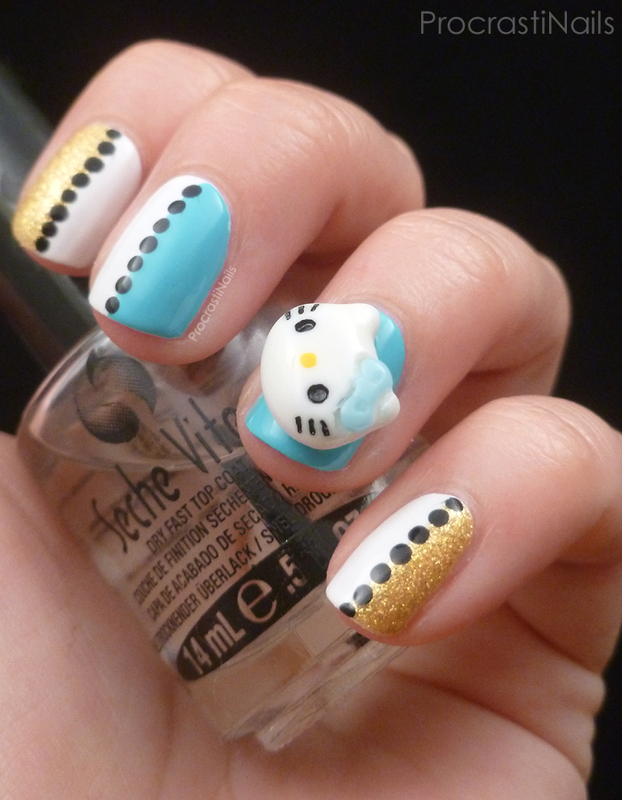 Love Hello Kitty! 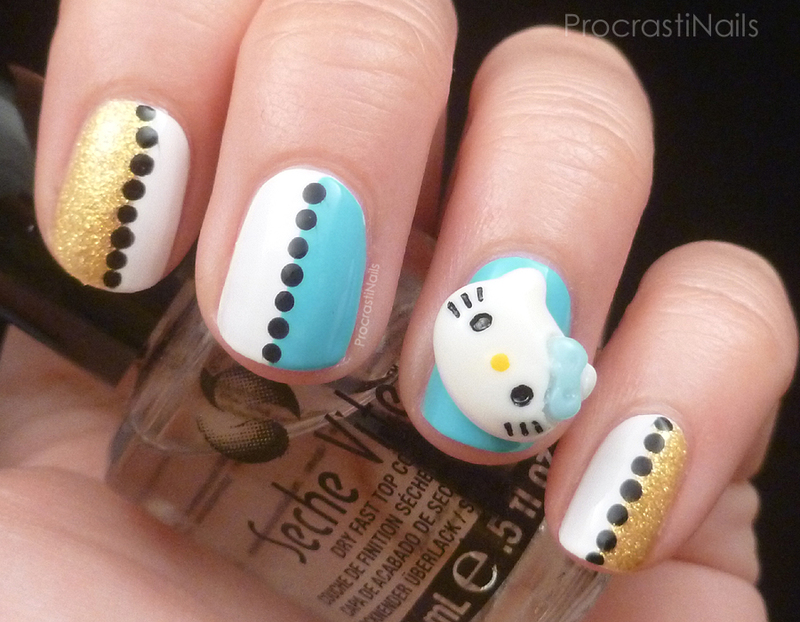 This mani is cute! I don't think I could rock it with that Hello Kitty head, textured/3D things and I don't get along usually. I love this, it's super cute! 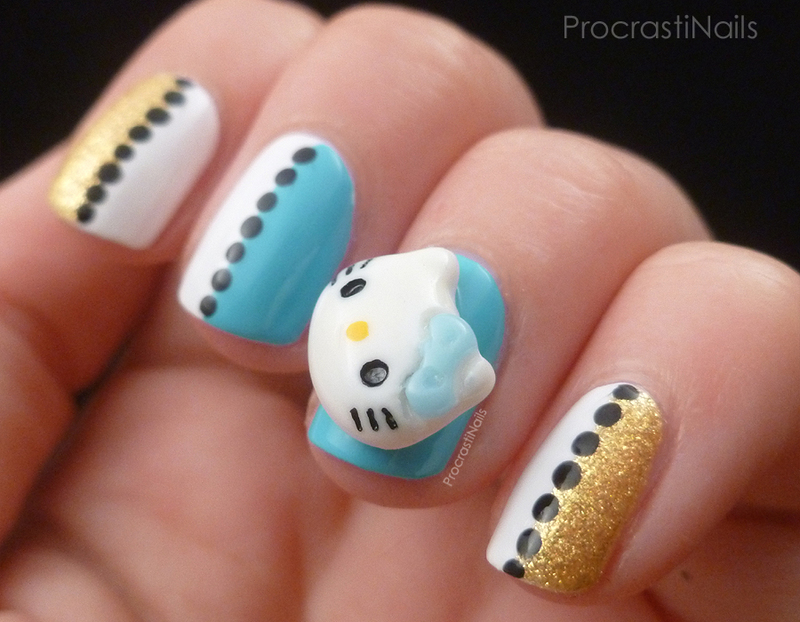 Love Hello Kitty! I think the colors go very well together, I like a bright blue.